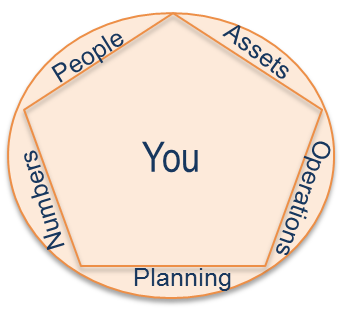 There are five dimensions of managing real property: The People, the Assets, The Operations, The Planning and the Numbers that flow through everything. Until now, these dimensions were siloed, locked in systems that didn’t talk to each other, jotted on bits of paper, or worse, stuck in someone’s head. So you could never really be sure of what’s going on at the moment you needed to know it.